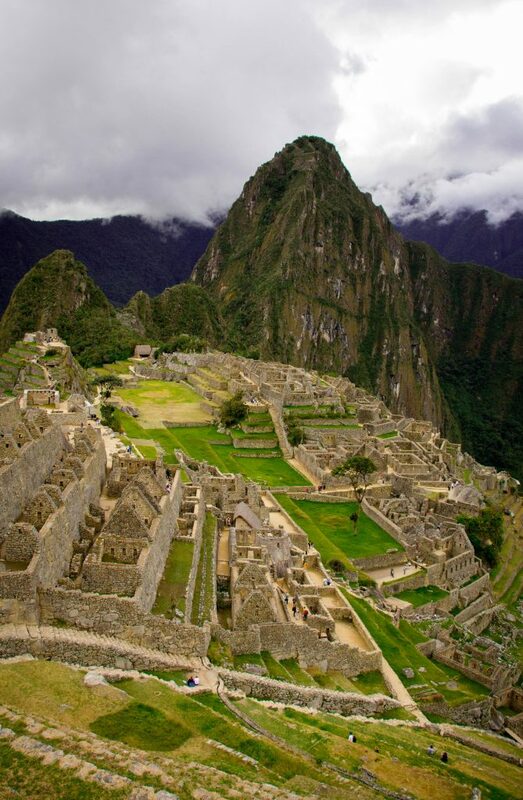 When you first step onto the ancient grounds of Machu Picchu… there’s a sensation that time has stopped. And, as you stroll through the old stone dwellings, ruins, and grassy terraces, following in the footsteps of the ancient Incans… you might spot some of the site’s more modern ‘residents’, grazing llamas and furry chinchillas. The whole Sacred Valley and beyond is dotted with massive, ancient marvels- not all as well-known as Machu Picchu, but all carrying that same air of mystery mixed with natural beauty. Peru is also a country of friendly smiles… traditional cultures… one-of-a-kind crafts made by local artisans… and tasty foods to sample. You’ll learn how to turn your love of adventure into a nice side income to supplement your travels… or even start a full-time gig, enjoying the fun and freedom of the travel writer’s lifestyle. No prior experience necessary- beginners welcome! And practice your new skills with a professional travel writer and editor by your side every step of the way. …you’ll have a new skill you can use for the rest of your life… your key to unlocking even more amazing travel adventures. 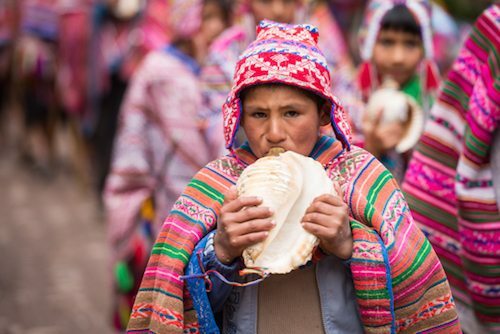 In the high-altitude cities of the Andes Mountain Range, traditional cultures and untouched natural beauty are still a part of day-to-day life. And, there’s a fascinating mix of Incan and Spanish influences. The former capital of the Inca Empire and a UNESCO World Heritage Site, the city of Cusco is known for its mixture of Inca and Spanish Colonial architecture, churches built on top of ancient granite walls, and narrow cobblestone alleys leading to charming neighborhoods. …and the mighty granite walls of the Inca fortress Saksaywaman, where stones weighing as much as 125 tons were placed in perfect precision, without using any mortar. 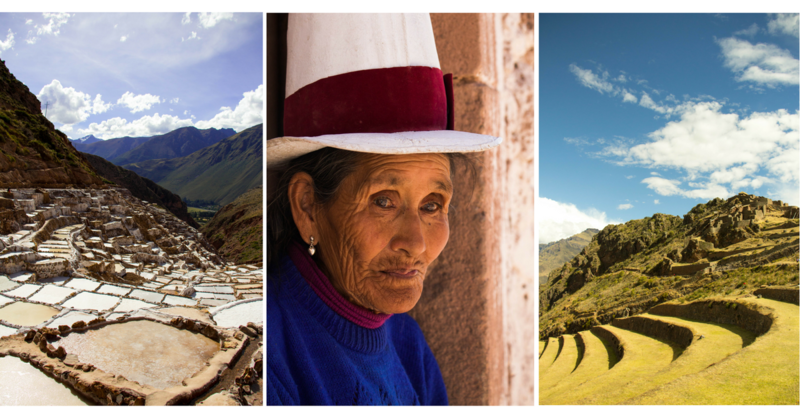 From Cusco we’ll also take day trips in our private transport to the colonial village of Pisac to explore its Sunday market and Inca ruins… to the weavers’ village of Chinchero… and the colonial town of Maras, home to the Inca salt mines. Before taking the train to Machu Picchu, we’ll spend an evening in the quaint village of Ollantaytambo, where narrow passageways between some stone buildings and past babbling irrigation channels will make you feel as if you’ve stepped back in time. In the morning, we’ll take the train– a train ride well known for its breath-taking views of the rolling Vilcanota River, cutting its way through a deep valley bordered by jagged mountainsides – to Machu Picchu Pueblo, the village located below Machu Picchu. As a special treat, we’ll spend one night here, instead of visiting the site as a rushed day-trip like most tourists. And, unlike most travelers, we’ll get to visit Machu Picchu TWICE –once at sunset and once at sunrise—to be sure we get the full experience (and in case fog moves in during one of our visits). You will be blown away by this world-class site at different times of day. Be sure to bring your notebook and your camera, to capture some amazing memories. While exploring Cusco and Machu Picchu, you may find your heart and your imagination stirring, and you’ll surely find something to write about at every turn. 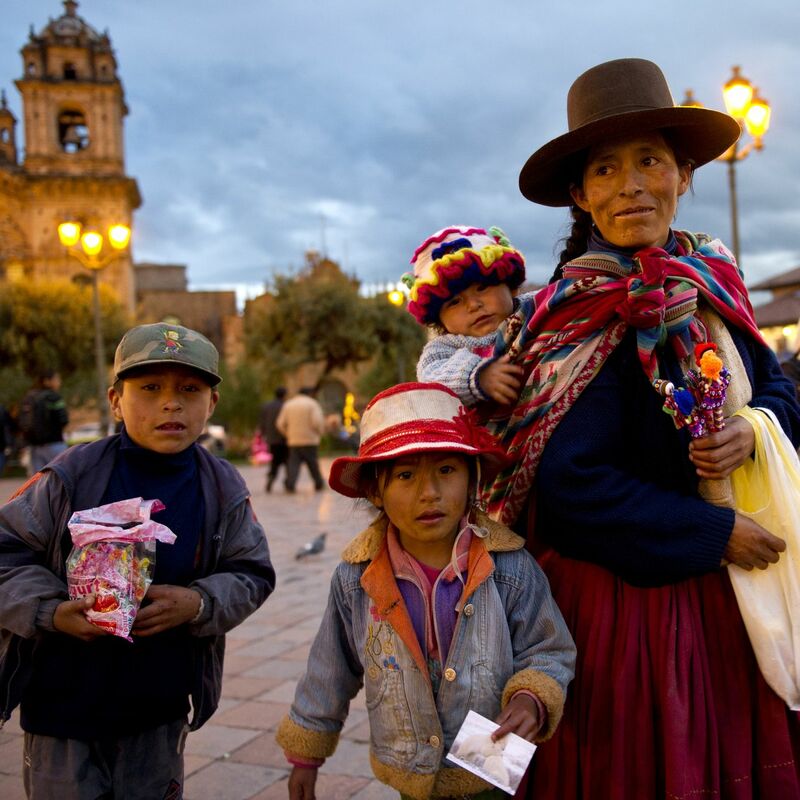 Peru is a country that stays with you long after you return home. And that’s why we have chosen this unique destination for our travel-writing workshop this May. This May, you’ll not only visit Peru… but experience it. I assure you, not only will you come away with a real passion for Cusco, Machu Picchu, and the villages of Peru’s Sacred Valley—having discovered them through the eyes of a travel writer—but you’ll also learn all the ins and outs you need to craft articles that sell. Ian is excited to share with you, and just 11 others, his years of experience and knowledge. You’ll graduate from an intensive, complete travel writing course in just 7 days… and the one-on-one attention and feedback, combined with on-the-ground experience, will help all the information sink in faster. In other words, you’ll be able to turn your love of adventure into a lifetime of free travel and a great income. No matter your level of ability or experience (beginners welcome! ), you’ll gain valuable insights and a jumpstart on your career as a travel writer. The bottom line is: You don’t need prior experience to sell your stories to magazines and newspapers. It’s a skill you can easily learn… if you have the right teacher. And, this May in Peru, Ian will show you exactly how it’s done… helping you transform your writing skills… and your life. Your instructor, Ian Aldrich, is the Deputy Editor for Yankee Magazine and a native New Englander. For the last decade, Ian has worked and freelanced for Yankee, writing feature stories and overseeing the magazine’s digital platform. In this last year alone, Yankee has expanded by leaps and bounds—including producing its own television show. And, in Peru, Ian will share with you all he’s learned over the years, both as a writer and editor. Since Ian has been there himself – working as a writer, a freelancer, and eventually moving up to the position of editor – he knows exactly what it’s like for a new writer who’s just starting out. He can give you practical advice backed by real-life experience. 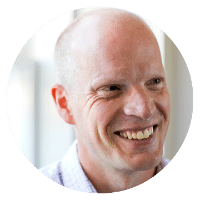 Plus, Ian will give you personal feedback on your work… one-on-one instruction that will shave a lot of time off your learning curve… and insights for how the travel-writing industry is changing, showing you exactly what you can to do to stay ahead of the curve. On this expedition, you’ll have an expert by your side every step of the way, ready to share his professional insights and secrets to help you travel the world and get paid to do so. On a hands-on, boots-on-the-ground expedition like this, you’ll learn travel writing in a fun way… among new friends… and absorb the skills faster than you would if you did it on your own. With your notebook in hand and camera ready, you’ll draw inspiration from the ancient beauty, dramatic landscape, and people around you… and return home with a whole new set of skills, sure to have you exploring the world in record time on someone else’s dime. Not to mention all the memories you’ll make and the people you’ll meet… like-minded fellow travelers who may give you the extra boost of confidence and motivation you need to get started… or even just a future traveling buddy! When you’re not taking notes on the history of an ancient Incan relic, or snapping photos of the iconic Machu Picchu at sunrise while light peeks through the mountain crest … you’ll have time to explore on your own and immerse yourself in the fascinating indigenous culture… seeking out even more story ideas at every turn. Then return to the classroom and learn exactly how to turn your experience into an article you can sell. You’ll benefit from unique, one-on-one instruction every day from experienced travel writer and magazine editor, Ian Aldrich. It’s this kind of learning experience that can improve your skills in record time. And what you can do as a writer to expand your work beyond the printed page. With his expertise in digital content, Ian is excited to share with you all his insights and secrets for cultivating an online presence: follow these tips, and you’ll have editors knocking on your door for stories. And, nearly every day on this expedition, there will be a lesson or special writing session where you’ll receive valuable feedback and tips to help take your travel writing to the next level. Whether you’re just starting out, or you’ve already had stories published, you’ll benefit immensely from this expedition. Ian will provide you with all the insights you need to write your stories, get them published, and get paid. In addition to all the great instruction you’ll get from Ian, you’ll also have a basic photography class from professional photographer Efrain Padro. That way, you’ll be able to include stunning photos along with your amazing travel stories when you submit them to editors- this will make you an in-demand writer. We’ll meet in the afternoon in our Cusco hotel lobby to enjoy a cup of coca tea (an Andean specialty, helpful for acclimating to get the high altiitude) and get right down to business. After introductions and an overview of the upcoming schedule, you’ll have your first travel-writing lesson with Ian. 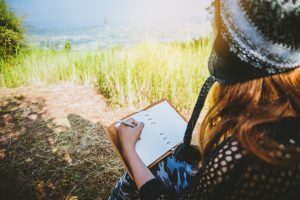 You’ll discuss your goals for the expedition, and he’ll get you started with some writing basics you can use throughout the week. This evening, you’ll have a chance to wind down and explore some local restaurants and bars according to your energy level. This morning you’ll walk across the street from the hotel to reach Qorikancha—or the “Temple of the Sun”—the most important place of worship in the Inca Empire. The Inca temple was converted into the Church of Santo Domingo, but the interior still features the best example of Inca architecture in South America. Afterwards, you’ll wander with the group through the cobbled streets of Cusco discussing story ideas and finding where Spanish Colonial architecture meets the ancient Inca walls. This morning, we’ll head to the charming colonial village of Pisac to explore its colorful Sunday Market, featuring both an artisans’ market and a locals’ market. 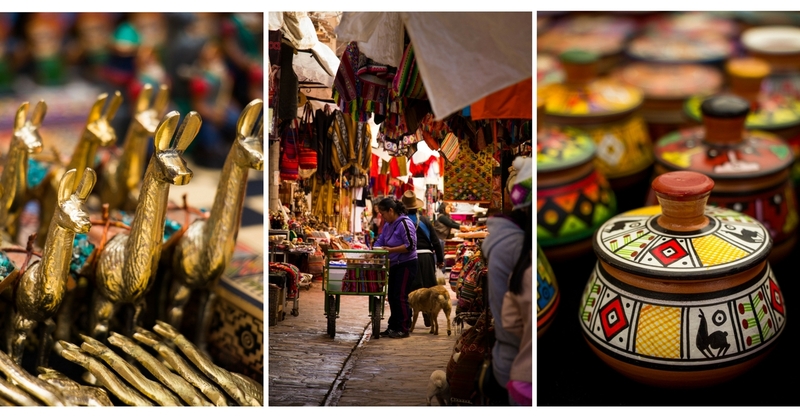 Here you can sniff out stories while marveling at alpaca clothing, carved wooden figures, and leather goods in the artisans’ market… and you’ll find fresh fruit and vegetables, flowers, dyes, and more among the locals’ offerings. Pisac’s Sunday Market is also a great place to catch a glimpse of local elders dressed in traditional clothing as they arrive at the church for a mass in the Quechua language. You’ll also find some pretty special gifts for friends and family back home. After lunch, we’ll make our way to the Inca ruins above town. Best-known for agricultural terraces, the Pisac ruins also boast a ceremonial center, temples, and spectacular views of the Urubamba Valley below. After our visit to Pisac, we’ll make our way to Ollantaytambo and check into our hotel, taking some time to rest and relax. This morning, we’ll explore the quaint village of Ollantaytambo—the best example of Inca city planning, featuring narrow cobblestone streets flanked by Inca granite walls. Inhabited since the 13th century, “Ollanta,” as the locals call it, is located in the shadow of the Ollantaytambo Ruins and represents the only place where the Incas won a major battle against the Spanish conquistadores. Here you’ll climb the ruins’ terraced hillside, visit its temples and housing complex, and enjoy panoramic views of the town below and the Urubamba Valley. In the late morning, we’ll hop a train to Machu Picchu, a UNESCO World Heritage Site and the best-known archaeological site in the continent. Our 90-minute train ride will take us through the spectacular river gorge as the Vilcanota River cuts its way down towards the Amazon. Our ride ends in Machu Picchu Pueblo, formerly known as Aguas Calientes, a small village with a funky vibe that serves as the base for visitors to Machu Picchu. While our bags are transported from the train station to the hotel, we’ll take a bus to Machu Picchu, the fabled Inca city that was never found by the Spaniards and virtually forgotten until its “rediscovery” in 1911. Inside the citadel, you’ll spend some time exploring the site’s many ancient temples, housing complexes, plazas, tombs, baths, and more. This morning, we’ll be up early to catch the very first bus to Machu Picchu. 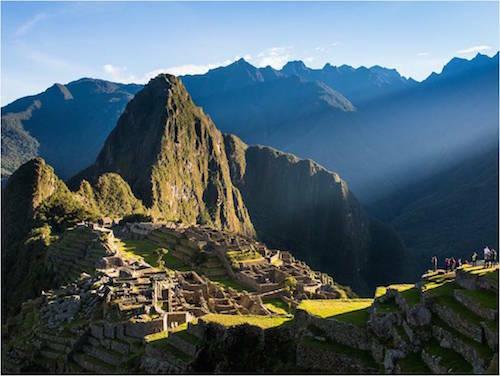 You’ll get to experience the awe-inspiring beauty of Machu Picchu at first light—from the famous overlook offering the “classic” view of the ancient ruins. After sunrise, we’ll take the bus to Aguas Calientes to explore the local streets and grab some lunch. FREE DAY. In the late morning, we’ll meet for our final travel writing review, followed by a presentation on how to get your work published in magazines, with tips from Ian on how to find magazines, how to approach them, how to submit your work for maximum impact, and more. This morning, we’ll drive about 30 minutes to the Village of Chinchero for a weaving demonstration by Quechua women artisans. The weavers will explain how they prepare, dye, and finish the wool, how they make soap, and more. You’ll be free to look around and ask questions to bolster your articles. Afterward, you’ll have the opportunity to buy some of their beautiful textiles directly from the artisans. 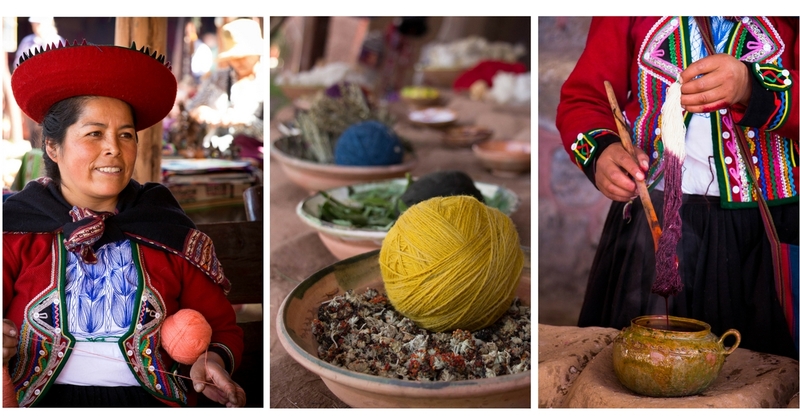 After visiting the weavers, we will drive to nearby Maras and enjoy lunch with a local family in their home, followed by a visit to the Inca salt mines; thousands of above-ground salt pools, dating back to pre-Inca times. We will even have a chance to buy some salt from the mine while we’re there. After our trip to Maras, we’ll drive back to Cusco, arriving in the late afternoon. And, in the evening, we’ll get together for our group farewell dinner (on us)! Visa Entry/Exit Requirements: If you’re a U.S. citizen, you need a current passport that’s valid at least SIX months after the date you plan to return with at least one blank page. If your passport expires before November 2018, you’ll need to renew it. Electrical: Peru’s electrical system operates at 220 volts and has a frequency of 60 hertz. Some places in Peru will take the standard US two-prong plug, and others need a “Type C” with the two round prongs. Bring a Type C adapter (and possibly a converter) for your equipment. Almost all laptops and camera battery chargers have an electricity converter built into the power cord (that means you don’t need a converter). Prerequisites: It doesn’t matter what level of writer you consider yourself to be, or if you’ve never tried selling your travel articles… all the skills and concepts introduced are doable by anyone. This workshop is a once-in-a-lifetime opportunity for folks who truly want to get paid to travel. Not only will you explore Peru, pen and notebook in hand, but you’ll have the rare opportunity to travel with a professional writer and editor by your side, providing personal feedback and sharing all his hard-won insights and secrets for creating travel articles that sell. Space is limited to just 12 attendees on this trip, so I strongly urge you to sign up today. It could be years before you get another opportunity to explore Peru with such a small group of like-minded people—and, with an expert editor and travel writer by your side! We’ve had a number of requests to save seats already—this program will fill up quickly! And I’d hate for you to miss out. So please, register here now by clicking below or, if you have any questions, call our office today at (561) 860-8266 (Eastern time zone). You can also email me at lori@greatescapepublishing.com. P.S. If you can write a simple paragraph, you have what it takes to become a successful freelance travel writer. It’s that easy. The many successful folks who have attended one of our workshops in the past don’t do anything you can’t learn to do. You don’t need a journalism degree. And you don’t need writing experience to get started. 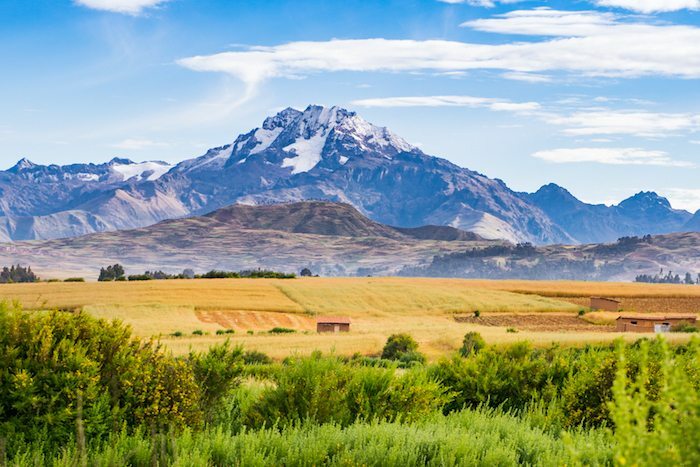 In Peru, you’ll get all the real-world know-how you need to turn a trip here or a vacation there into a little cash on the side… or even jump in full-time. To turn 2018 into the year you become a travel writer, join us in Peru and learn how you can pursue your dreams of travel writing and get paid to do it.